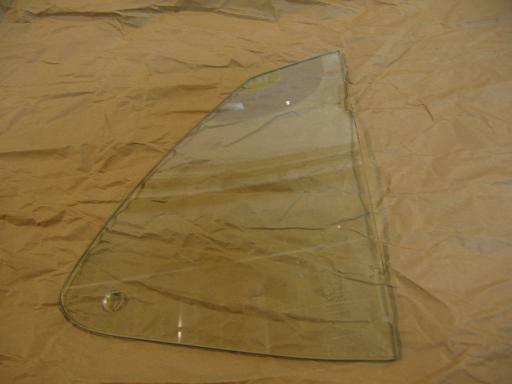 This is a nice looking original pane of clear right side Carlite quarter window glass that will fit a 1969 or 1970 Ford Mustang fastback/sportsroof. The date code is 9J (September 1969), making it date-code correct for a 1970 Mustang. The pane is in good used condition. There are some light scratches that are typical of used glass. It's probably not good enough for a concours show car, but it's great for a driver. I've heard that some people have had issues with the fit of replacement quarter window glass. This is a genuine OEM part, so it's guaranteed to fit properly.